Sign-up to PinPoints, the Pinnacle Consulting e-letter and you could win one of these amazing new devices! Celebrate the launch of our new website with a new Amazon Echo Show! 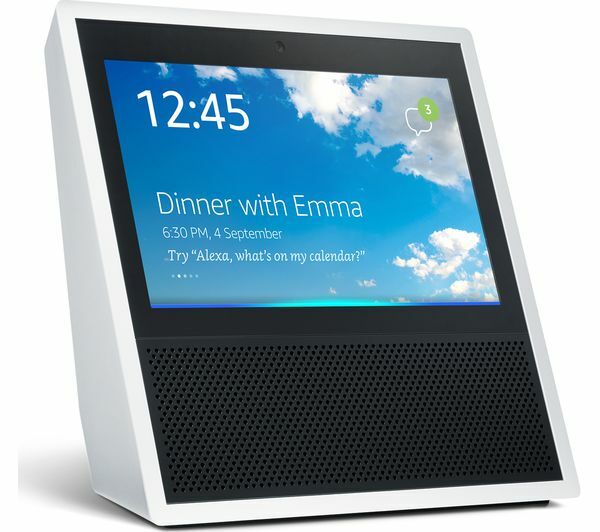 To show our faith in Alexa, we are offering those who sign up for the Pinnacle Consulting e-letter ‘Pin Points’ the chance to win the latest in the Amazon Echo range, the Amazon Echo Show! ‘Pin Points’ is delivered free to your inbox and keeps you informed with industry news and career development and recruitment advice. You could be asking both ourselves and Alexa for help very soon…but you have to sign up for before the end of 31st March 2019 to have a chance to win! All sign-ups until midnight on 31st March 2019, will be automatically entered into the draw. The winner will be contacted using the email address they signed-up with after the draw. CLICK HERE TO SIGN-UP FOR PINPOINTS AND GAIN FREE ENTRY TO THE DRAW! The Echo Show features everything you love about Amazon’s voice assistant Alexa, with a screen so it can also show you things. Watch videos or view music lyrics, photos, weather forecasts, your to-do lists, and much more. And it’s all hands-free. Voice responses from Alexa are now enhanced with visuals and optimised for visibility across the room. 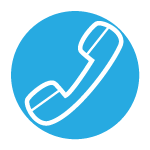 Call or message your family and friends who also have an Echo or the Alexa App (available on Fire OS, Android, iOS and desktop). Get the news with a video flash briefing, see your Prime Photos, see lyrics with Amazon Music, browse and listen to Audible audio books, and more. All you have to do is ask. Echo Show has eight microphones and beam-forming technology so it can hear you from across the room, even while music is playing. Echo Show is also an expertly tuned speaker that can fill any room with immersive audio powered by Dolby. When you want to use Echo Show, just say the wake word “Alexa” and Echo Show responds instantly. Introducing a new way to be together more with the people who matter most. 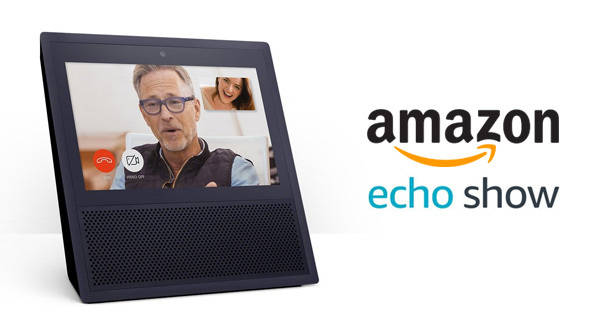 Make hands-free video calls to friends and family who have an Echo Show or the Alexa App. When you’re busy making dinner, just ask Alexa to place a call from your Echo Show to anyone with a supported Echo device or the Alexa App. You can also enable a new feature called Drop In for the special cases when you want to connect with your closest friends and family. For example, you can drop in to let the family know it’s time for dinner, see the baby’s nursery, or check in with a close relative. With Drop In, you’re always in control: turn it on or off at any time, select who is allowed to drop in on you and choose which devices are available for Drop In. You can also decline Drop Ins. Echo Show helps keep you organised at home. Start a timer in the kitchen and watch as it counts down, or easily see and manage your family’s calendar. Sign in to the Alexa App to take your to-do and shopping lists with you. Instantly add an item to your list with Echo and see it in your Alexa App when out shopping. Powered by Dolby, Echo Show is fine-tuned to deliver crisp vocals with dynamic bass response and expansive sound. Watch as the display comes alive to show song lyrics, custom stations, curated playlists, and album art with Amazon Music. Listen to tens of millions of songs with Amazon Music Unlimited. With multi-room music support, you can play music across multiple Echo devices simultaneously (Available for Amazon Music and TuneIn. Bluetooth is not supported). Use Echo Show to see a live camera feed from the nursery or your front door. Turn up the thermostat or dim the lights from the sofa, all without lifting a finger. Echo Show works with smart home devices such as cameras, lights, thermostats and more from brands such as WeMo, Philips Hue, SmartThings, Netatmo, TP-Link, Hive and others. Alexa, the brain behind Echo Show, is built in the cloud, so it’s always getting smarter. The more you use Echo Show, the more it adapts to your speech patterns, vocabulary, and personal preferences. And because Echo Show is always connected, updates are delivered automatically. Skills add even more capabilities such as ordering a takeaway with Just Eat or pizza from Dominos, requesting a ride from Uber, local searching from Yelp, trying a new recipe from Recipedia, and more. New skills are being added all the time. You can also see ratings and reviews to learn what other customers are saying about skills in the Alexa App. Download the free Alexa app onto your Fire OS, Android, iOS device or desktop browsers for easy set up and control. Please note: some services may require subscription. Want to work in Construction Sales Recruitment? The role of a Sales Recruitment Consultant is arguably one of the most diverse in the business world. It is both challenging and rewarding and requires a broad range of skills and attributes to be successful. Contact us for a confidential informal chat. Get £250 of vouchers when you refer a friend.